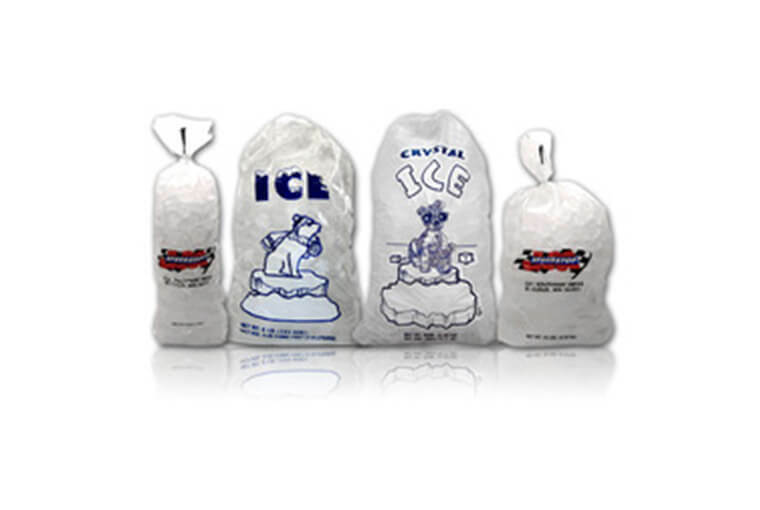 We supply wholesale ice bags that can withstand rough handling and provide refreshingly tasting ice. All of our ice cube bags are exclusively designed to withstand below freezing temperatures! We do surface printing upto 8 colours and our inks have optimum deep freeze properties. A variety of ice bags offered by Tilak Polypack’s helps owners of convenience stores, liquor stores or grocery stores chill its refreshing products. Our production process produces unprinted ice bags with a unique balance of ideal ice bag features. These bags offer high impact strength, low haze with high gloss and clarity, and superior durability. They retain flexibility at low temperatures, reducing the brittleness of the bag at ice temperatures. Gusseted unprinted ice bags are available, offering easy expansion for quick packaging or bulky items. These crystal clear, wholesale plastic drawstring ice bags for ice are pre-printed with a built-in cotton draw-string for easy hauling and a tight closure. These crystal clear, wholesale plastic drawstring ice bags for ice are pre-printed with a built-in plastic draw-string for easy hauling and a tight closure. Plastic Drawstring Bags are usually more economical compared to Cotton Drawstring Bags.